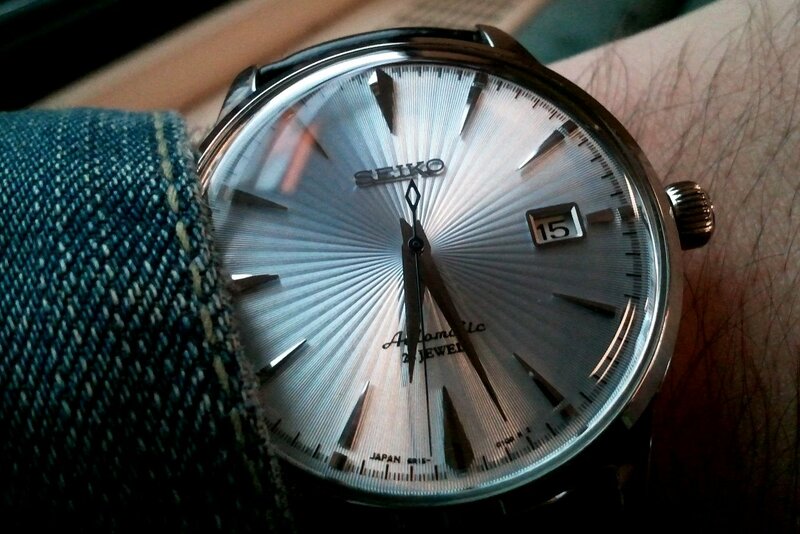 With its light blue sheen and gorgeous case, the Seiko Presage Men’s Cocktail Watch is a subtle watch that makes an ideal choice for any formal or semi-formal occasion. This striking watch is a testament to classic styles of days gone by, making it a timeless choice that can be worn with any sort of attire. Its icy blue dial comes in the form of a sunburst design that offers it depth and dimension. The watch features a dazzling stainless steel case that matches both the indicators on the watch face as well as the hands that count the minutes, seconds and hours. A stunning black leather strap attaches the Seiko Presage Basic Line Men’s Cocktail Watch to the wrist and provides even greater elegance to the already sophisticated and stylish watch. 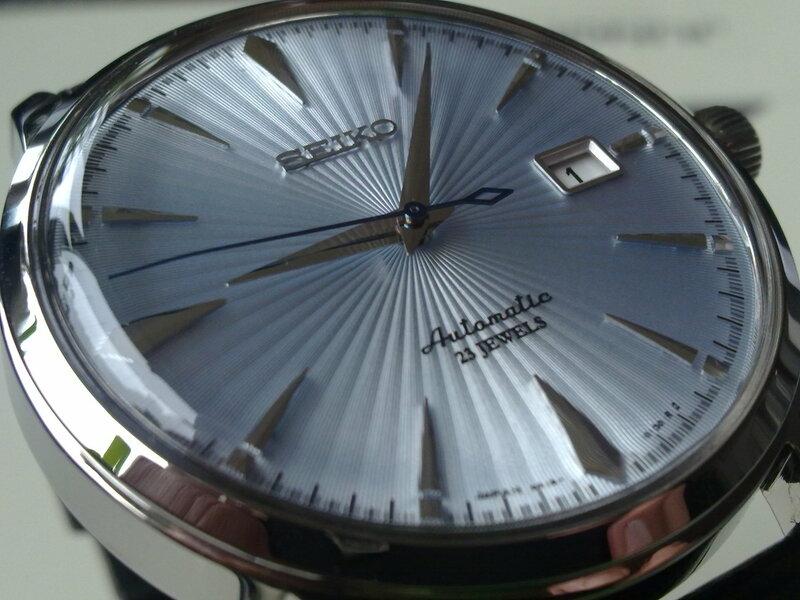 The Seiko Cocktail features a reliable and dependable Japanese automatic quartz movement inside of it. This movement is able to keep the time with great reliability and is always accurate. It has a power reserve of 41 hours to ensure that it is always ready to go. The case that houses everything inside measures 40.5 millimeters in diameter and 11.8 millimeters in thickness, providing a slightly weighty, large and noticeable watch that will be felt on the wrist and noticed by everyone around. Protecting the dial is a hardened mineral glass that is able to resist nicks, scratches, dents or any other sort of impact damages. Simple to read, versatile and able to match any sort of watch strap, the timeless Timex Weekender is an iconic watch and one that is sure to draw comment when you wear it to any event, formal or informal. The watch features striking full Arabic numerals that make it not only simple to read the time with a quick glance, but makes it an excellent addition to your traditional or modern watch collection alike. Steeped deeply in the rich history of the company, the Orient Men’s ‘Mako II’ Japanese Automatic Stainless Steel Diving Watch is a true sight to behold. Orient has been in the business of producing mechanical watches in Japan since 1950, making this company no stranger to producing a fine timepiece through timeless watchmaking techniques. See the impeccable craftsmanship that comes with Orient watches when you bring home the Orient Men’s ‘Mako II’ Japanese Automatic Stainless Steel Diving Watch.